Indian farmers and suicide: How big is the problem? India has been taking steps to address the high number of farmers in India who are killing themselves. The figures are shocking, but are they any higher than in India as a whole? 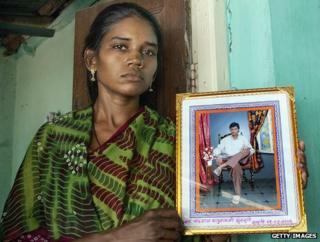 Since the 1990s, farmer suicides in India have made headlines. The high number was first noticed in the state of Maharashtra and then the media began reporting it happening in other parts of India. A series of government inquiries followed, looking into the causes of farmers' suicides, an issue which has come to the fore again in the last 18 months. Last year, agriculture minister Sharad Pawar said it was a serious issue with many factors responsible, and he said the government was increasing investment in agriculture and raising minimum prices of crops to increase farmers' income. Campaign groups claim the suicides have been caused by food speculators manipulating cereal prices, and GM companies who are selling expensive cotton seeds and fertilisers. They say that in order to buy GM seeds, some farmers get into unmanageable debt. Others are crippled by fluctuations in food prices. And when the going gets too tough some decide the only way out is to take their own lives. But what do the figures say and how accurate are they? Influential investor Jim Rogers said in a recent debate on the BBC that millions of Indian farmers have killed themselves over the past few years because they couldn't make a living. The official figure is actually 270,000 since 1995. Mr Rogers said he saw the figure in the newspapers, so it seems likely he misread a lakh - a unit which in South Asian represents 100,000 - as one million, which is a common mistake because it is often written as 1,00,000. "A lakh is 100,000 of anything," explains Anish Ghosh, maths professor at the UK's University of East Anglia. "Once you have, say, 100,000 rupees or 100,000 geese you have a lakh." But the way it is written can be confusion. In South Asia, 100,000 is written with two commas: 1,00,000. "It's quite possible that someone who isn't familiar with it is going to think it's a bigger number or there has been a mistake in the publication," says Prof Ghosh. To further confuse the uninitiated there is also the crore or 100 lakh. This is written 1,00,00,000. So the Indian version of "Who Wants To Be A Millionaire" has a crore as a prize. The technical term for the person who has a crore is a crorepati (in Hindi the film Slumdog Millionaire was Slumdog Crorepati). Although he was wrong, this does not make the official figures any less shocking. According to them, farmers in India are killing themselves in their thousands every year. The latest government figures show 14,000 farmers took their own lives in 2011. But a huge study of suicides in India published last July in the UK medical journal, the Lancet, found these figures under-report the problem and suggests there were 19,000 suicides in 2010. "The official statistics in India rely on the National Crime Records Bureau, basically what are police reports of suicide," says Prof Prabhat Jha, one of the study's co-authors and the director of the Center for Global Health Research in Toronto. "Suicide is a taboo subject, and suicides of young women that have just been married are actually reportable, and investigated by the police. When we sent survey teams to the household and they know the survey teams they're much more likely to report a suicide." But the one thing that is missing in the way these figures have been reported is any context. It is important to remember that a lot of people live in India and there are a lot of people working in agriculture. Prof Jha says it's important to compare this with other areas of Indian life. "We estimate in 2010 close to 190,000 suicides, so of all the suicides occurring in India, that would suggest [farmer suicides] are only about 10%." According to figures from the UN, agricultural workers make up just over 20% of the population. Another way to look at this is to consider the overall suicide rate in India. Using figures from Professor Jha's findings and population figures from the UN, the suicide rate in India is around 15 per 100,000. The suicide rate among agricultural workers is around seven per 100,000. This may seem like splitting hairs - if attention is being drawn to the problem, then perhaps the numbers can be brought down and that would be a good thing - but resources are finite and there are other groups that could benefit more from the help. Suicide has become the second leading cause of death among the country's young adults, after road accidents in men, and childbirth-related complications in women. Prof Jha says the over-emphasis on agricultural deaths means another vital area isn't being addressed. "While farmer suicide is important in India, the main reason for suicide deaths is occurring at younger ages, particularly around the time that young adults join the workforce or get married, and it's really this context of social pressure that is most associated with suicide, not farming." Comparisons between age groups and professions is problematic, because there will be some crossover between the two. However, one of Prof Jha's co-authors, Prof Vikram Patel from the London School of Hygiene and Tropical Medicine, says he believes the crossover will be minimal. Unfortunately the study does not have a breakdown of suicides by other professions, so no direct comparisons can be made. But it is clear that although farmer suicides are higher than anyone would want to see, they are not extraordinarily high in comparison to India as a whole.